A trip to Africa is on a lot of bucket lists. For many of us in the United States, the continent seems majestic and mysterious yet dangerous and uncharted. Much of what we know about Africa is what we see in the media, a land of lions and giraffes, war and poverty. The Africa I know and love is a land of beauty and wonder that I have now dedicated my life to sharing with travelers. My travel company, Eyes on Africa, has been sharing the wonders of Africa with those eager to travel and explore the continent's beauty, wildlife, wilderness and culture for 10 years. Many of those we work with are planning a first trip to Africa and have a plethora of questions, from where to stay, when to go, what to pack and more. I've chosen a list of 10 most frequently asked questions that I'm often pressed with from those with a desire to travel to Africa. We pride ourselves on our knowledge of the land and culture and strive to educate travelers on the essence of Africa. We encourage our clients to plan their African safari as far in advance as possible; several months at a minimum to ensure a better selection of camp availability. This is especially important if they are planning to travel during the Southern Africa safari "high season" months of July through October. Most of the African safaris and African holidays organized for our clients are 100 percent customized to their individual interests, timeframe and budget. The rates for the destinations we offer cover a wide range and typically vary significantly from the "high season" (generally July through mid-November) to the "low season" (generally November through June). Africa's biggest enemy is the international media who represent all 46 African countries as a single entity and not as unique and individual countries with their own characteristics. It would come as a surprise to many people to find out that there are in fact areas that are worse off in more developed countries than in the "dangerous" African countries. No country can claim to be 100% safe, and so as with travel to any new or unknown destination, it is advisable to take certain standard security precautions. Visitors should take the same precautions as they would normally take in any other destination worldwide. Keep an eye on your purses, wallets, passports, money and cameras when walking in a crowd. Avoid walking in the cities at night and place valuables in your hotel safe. Choosing a knowledgeable operator such as Eyes on Africa as your specialist Southern African tour operator is the best move you could make. While staying at African safari lodges and tented camps you are typically far removed from human settlement and crime in the camps is virtually nonexistent, in fact, we have never heard of it and have been traveling to the camps for years. First, let's define the regions. In terms of wildlife safaris, Southern Africa includes South Africa, Botswana, Namibia, Zimbabwe, Malawi and Zambia while East Africa is essentially Kenya and Tanzania. Meanwhile, Uganda, Burundi, Rwanda and The Democratic Republic of the Congo, all destinations popular for gorilla tracking safaris, are generally considered Central Africa. Malawi and Zambia are also sometimes classified as Central Africa. In terms of landscapes and attractions, the regions are quite different. East Africa boasts Mount Kilimanjaro, the Serengeti Plains/Maasai Mara ecosystem and the Ngorongoro Crater. Southern Africa includes Botswana's Okavango Delta wetland, the Skeleton Coast and Namib Desert of Namibia, the miles of coastline with diverse habitats and the Kruger National Park of South Africa, the semi-arid Kalahari Desert of Botswana and northern South Africa and the lower Zambezi River basin including Victoria Falls along the borders of Zambia and Zimbabwe. The wildlife species found in the two areas are essentially the same; most of the predators and plains game can be seen in both regions and only some birds and a few mammals and reptiles are distinct between the regions. East Africa offers herds of zebras and wildebeests in the hundreds of thousands. The annual migration between the Maasai Mara in the north and Tanzania's Serengeti in the south is a spectacle unequaled anywhere on earth today. 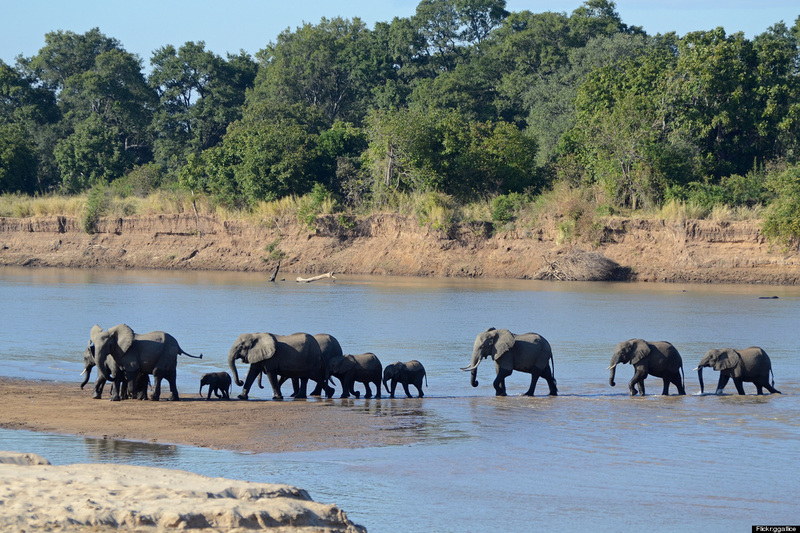 However, Botswana and Zimbabwe are home to 80% of Southern Africa's 300,000 elephants and huge herds are a common sight along their northern borders. All people traveling to the Southern African region require a valid passport that is normally valid for six months beyond the intended length of stay. At present, holders of American passports do not require visas for South Africa, Botswana and Namibia. They do however require visas for Kenya, Tanzania, Zimbabwe and Zambia; all but Kenya's may be purchased at the point of entry for a nominal fee. It is advisable to check with the consulate of the country that you intend to visit as requirements can change without notice. Should I get traveler's insurance? Is communication with the "outside world" possible while on an African safari?